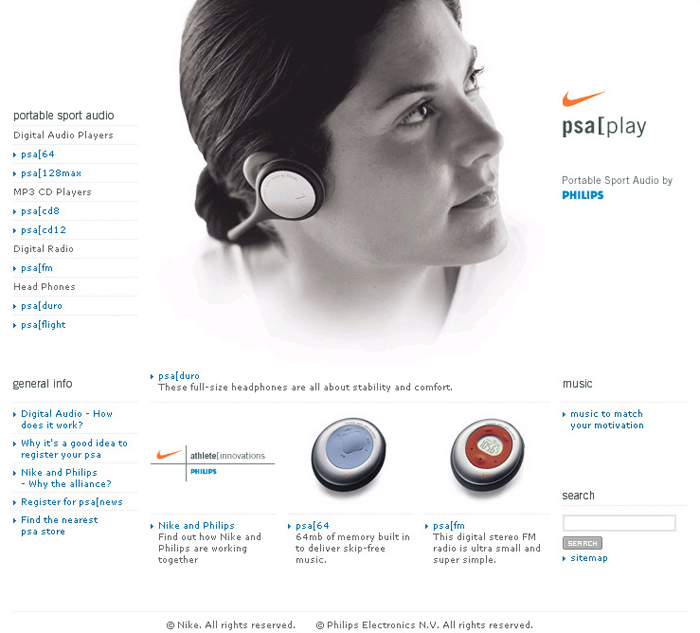 Nike and Philips formed a partnership to create portable sport audio. Since movement and rhythm were so integral to the products and the site, I focused on creating short snippets of copy with a beat. The site won a One Show Interactive Award.